Bharti Airtel has introduced the ‘Airtel Mangalmurti Pack’ for the auspicious occasion of Ganesh Chaturthi. The pack offers a host of products to all its Airtel customers in Maharashtra throughout the Ganpati festival. Customers can listen to LIVE Aarti at Siddhivinayak and Lalbaugcha Raja and also download Ganpati and Ganesh predictions. The offer is available to both pre-paid and post-paid customers. For all the Siddhivinayak and Lalbaugcha Raja devotees, Airtel presents an exclusive opportunity to listen to LIVE Aarti on their mobile phone. All customers have to do is call on 55237 (Toll free) and the service will be activated at Rs. 2 per day with a onetime activation fee of Rs. 5. So, if one has missed an Aarti while at work or travel then one can dial 55237 and listen to the LIVE Aarti of choice. Aarti timings for the day will be sent via SMS to the customer. 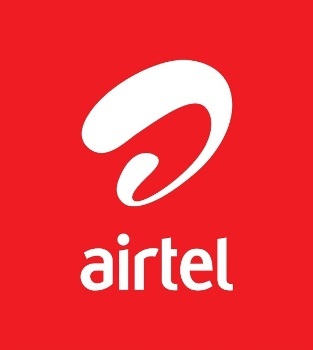 Airtel has also introduced a special recharge voucher- RC33 which gives the customer talk time worth Rs. 22 along with Free Live Aarti Service for 5 days, in which they can listen to the aarti conducted at Lalbaugcha Raja. Through activating the pack, Airtel customers now stand a chance to also get the experience of Live Darshan and Aarti at Lalbaugcha Raja & meet top Bollywood stars. The lucky winner of “Meet & Greet” contest will get a chance to perform aarti and meet top Bollywood stars. The luck winner will be chosen from Airtel customers, who activate the Mangalmurti Pack, from August 30th to September 7th 2011. In addition to the existing offers, customers get 300 Airtel to Airtel night local minutes absolutely free. The pack also offers 5000 local / national SMSes valid for 30 days free of charge. Prepaid customers can also avail the ‘Zabardus ‘Dugna Fayda’’, where recharging with any ‘Zabardus’ variant will result in double benefit.